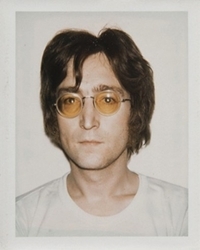 Andy Warhol's unseen polaroids of John Lennon, Jean-Michel Basquiat and more . Beatles Radio: The Beatles, Solos, Covers, Birthdays, News The Fab 4 and More! For years Andy Warhol’s preferred method of artistic documentation was the use of a Polaroid camera. Whether shooting his subjects at his iconic factory studios or, in some instances, creating developing and depicting his ‘Warhol’s Queens’ a collection, the American artist quite regularly had a Polaroid within reach. Now, a new exhibition is heading to London and collects Warhol’s most memorable photographs. The new show will open at London’s Bastian Gallery in Mayfair from February 2nd until April 13th. Armed with more than 60 portrait and self-portrait Polaroid pictures taken by Warhol himself, the exhibition will also boast some previously unseen shots. Perhaps unsurprisingly, given the hotbed of activity his New York factory studio was during the height of his fame, numerous images include some extremely well known faces. “My idea of a good picture is one that’s in focus and of a famous person doing something unfamous. It’s being in the right place at the wrong time,” Warhol famously once said.